Enikő Németh T. is Professor in the Department of General Linguistics at the University of Szeged. This book studies how Hungarian verbs can occur with implicit subject and direct object arguments in a complex approach. On the basis of the critical evaluations of the previous literature on implicit arguments, analyses of a wide spectrum of data from various direct sources, and theoretical explanations, all of which were supported by systematic metatheoretical considerations, it concludes that in Hungarian, verbs do not vary as to whether they can be used with implicit arguments or not, but they vary as to the manner in which they can occur with such arguments. In other words, they vary in terms of the lexical and grammatical constraints which are placed on them, and in what contexts they can be used with lexically unrealised arguments. Although the cognitive principle of relevance guides the licensing and interpretation processes of implicit arguments, the variety of their occurrences does not rest solely on the presumption of relevance but on the different lexical, grammatical, and pragmatic properties of Hungarian and its use, as well as on their various interactions. So, it is only by operating together that a grammar and an adequate pragmatic theory can account for the occurrences and identification mechanisms of implicit arguments. 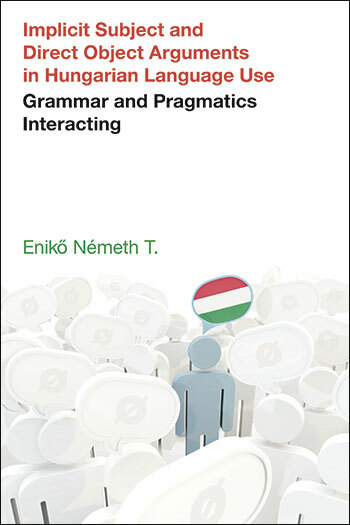 In the present book, I aim to study various grammatical (including lexical-semantic and morphosyntactic), general pragmatic, and particular contextual factors which license occurrences of Hungarian verbs with implicit subject and direct object arguments in an intensive interaction and guide their interpretation mechanisms, on the basis of the analyses of data from different direct sources. In addition to this main aim, I also intend to set up a typology of Hungarian verbs according to the possibilities of their occurrences with implicit arguments and reveal what motivations underlie the use of lexically unrealised arguments and what principles guide their interpretation mechanisms. The individual chapters have their own sub-aims, the achieving of which results in new conclusions compared to the previous treatment of implicit arguments in Hungarian. Furthermore, some sections also reflect on the research from a metatheoretical point of view in order to shed light on how methodological decisions can influence the process of research into implicit arguments in Hungarian and the formulation of conclusions. 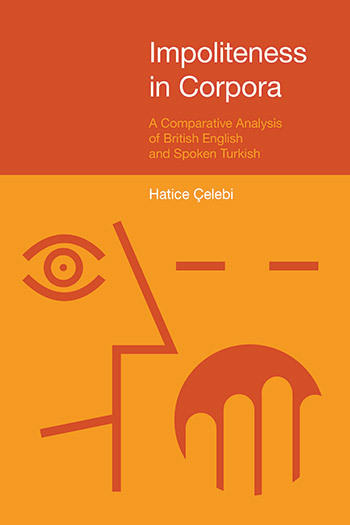 In Chapter 2, I will briefly overview the previous types of explanations of occurrences of verbs with lexically unrealised arguments in various languages and different frameworks. Firstly, I will criticise purely syntactic (Section 2.1), pragmatic (Section 2.2) and lexical-semantic (Section 2.3) explanations. Secondly, I will discuss the current treatments (Section 2.4) which apply more complex approaches, taking into consideration different factors in the licensing and interpretation of lexically unrealised arguments. What these complex frameworks have in common is that they integrate grammatical and pragmatic constraints in their explanation, but they differ in their latent background assumptions and theory formation. In Chapter 2, I will not aim to provide a full review of the relevant literature; instead, I will attempt to characterise some typical treatments in order to make it manifest why purely syntactic, pragmatic or lexical-semantic explanations cannot adequately account for the behaviour of verbs with implicit arguments, and demonstrate how current approaches argue for the necessity of a complex framework. By such a presentation of the selected literature, I aim to prepare my own approach, which I will start to introduce in Chapter 3. In Chapter 3, I will define what I mean by implicit arguments and compare my definition to some others, indicating what approaches my conception is similar to and what approaches it differs from (Section 3.1). In Section 3.2, I will present three manners of occurrence of implicit arguments in Hungarian. In Chapter 4 and Chapter 5, I will discuss these three manners in detail. 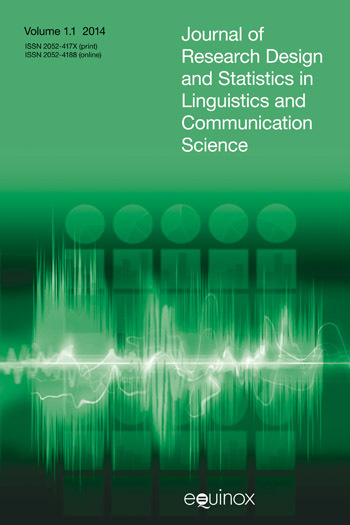 In Chapter 4, I will concentrate on how the lexical-semantic properties of verbs influence the use of verbs with lexically unrealised subject and direct object arguments in an interaction with other grammatical requirements and contextual factors. Firstly, in Section 4.1, I will examine the occurrence of verbs with implicit subject arguments. I will provide a new explanation for the occurrences of verbs of natural phenomena with explicit and implicit subject arguments in Hungarian language use. I will rely on a wide range of data from various direct sources and demonstrate that verbs of natural phenomena are not subjectless in Hungarian as the Hungarian grammatical tradition supposes. I will propose a lexical-semantic representation for the verbs of natural phenomena on the basis of which the occurrences of these verbs with both explicit and implicit subjects can be explained in a unified way. In Section 4.1, I will also analyse another class of verbs, namely verbs of work which can be used with implicit subject arguments not only because of the pro-drop characteristics of Hungarian, but because of their lexical-semantic properties and contextual factors. In Section 4.2, I will investigate how the lexical-semantic properties of verbs license implicit direct object arguments in an interaction with morphosyntactic constraints and contextual factors. I will especially focus on the role of selection restrictions, the characteristic manners of action denoted by the verbs and the prototypical structure of implicit arguments. In Chapter 5, I will turn to the second and third manners of occurrences of implicit arguments in Hungarian and I will study the influence of the immediate utterance context and extended context. In Section 5.1, I will examine implicit subject and direct object arguments as zero anaphors and exophoric pronominal subjects and objects in utterance and discourse contexts, while in Section 5.2, I will analyse the role of the encyclopaedic information available in the immediate utterance context. In Section 5.3, I will deal with the way in which the context extended with information from the observable physical environment and encyclopaedic knowledge can influence the use and interpretation of implicit subject and direct object arguments in Hungarian language use. Then, in Section 5.4, I will discuss how indefinite/definite conjugations play a role in the licensing and identification of implicit direct object arguments. In Chapter 6, on the basis of the data, analyses and argumentation presented in Chapters 3−5, I will summarise my results and conclusions. I will also set up a classification of Hungarian verbs according to the possibilities of their occurrence with lexically unrealised arguments. And finally, I will recover the pragmatic motivation behind the occurrence of Hungarian verbs with implicit arguments as well as the main pragmatic principle guiding the identifying mechanisms.